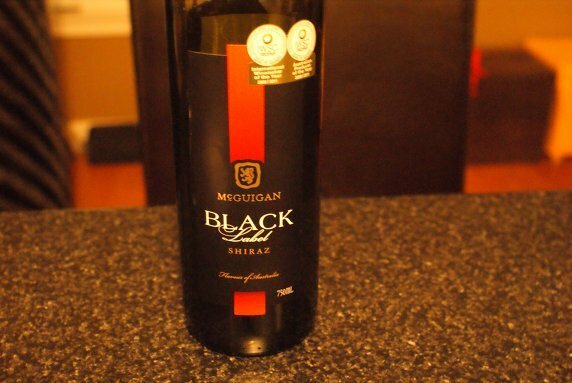 Today, we’re featuring Australia’s, McGuigan Black Label Shiraz, as a part of our wines under $10, August feature. Living in Ontario, it’s actually quite difficult to find an Australian wine under $10. Even the Wolf Blass label doesn’t carry that level of value priced wine anymore… remember the days? Nonetheless, this affordably priced Shiraz, on first pour, brings with it a light cardinal red hue. On the nose, we found a comfortable, but yet complex smell; the scents of blackcurrant and citrus were present and full at that. On the palate, we noted plum, blackcurrant, with a medium to long finish. Though the acidity levels of this wine will naturally call for you to have it breath for 40 minutes or so, it still garners a pleasant experience.